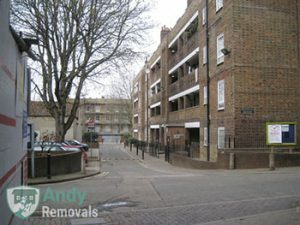 Andy Removals is simply the best answer to any relocation job that you need to get done in South West London. With years of experience and a solid reputation built on nothing less than our clients’ satisfaction and comfort, we are the best option that you have for projects of domestic and commercial character alike. The trained, capable and fully certified professional movers who handle removals in South West London for us are part of a team that we have vetted very carefully. Each and every individual who works for us has gone through a rigorous training program and has met the highest requirements of the industry. Having movers from Andy Removals by your side means that there will always be someone who is going to answer your questions and provide you with the assistance that you need in the preparation and actual execution of your project. It is important to keep your business downtime to a minimum when moving office. Book our qualified movers for a punctual and speedy office removal service in South West London and that will be a mission possible for your company. We will execute your relocation from start to finish and we can even give you a hand with the packing. Our comprehensive office removals in South West London can also be scheduled for a weekend. All of this and more you will receive on a flexible schedule that has no problem with last minute booking, weekend and bank holiday operations. The prices we charge for out South West London removal services are also very fair. If you would like to consider your budget in advance, just give us a call for a free no obligation quote. Aside from being one of the best local removals companies, we are also popular with our eco-friendly nationwide removals in South West London. Regardless of whether you are moving to or out of the English capital, we will be able to transport your items using one or more of our spacious moving vehicles. What is more, we can also plan and organise inexpensive international removals in South West London for our private and business clients. Andy Removals will be the right contractor for you if you cherish efficiency, diligence and security. We are a fully certified moving company that has a dedicated following all over South West London and we are not going to let you down. 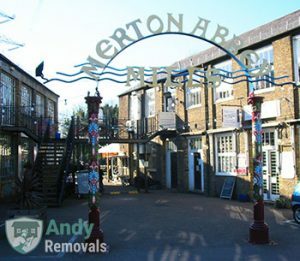 Andy Removals operates in all districts and boroughs that make up the sub region of South West London today. Those include some of the finest areas in the capital, located in the boroughs of Croydon, Kingston upon Thames, Lambeth, Merton, Richmond upon Thames, Sutton, Wandsworth respectively. The population of the sub region of South West London is estimated to be in the vicinity of 1.6 million people and counting. The true reason behind our secure and extensive list of comprehensive moving services in South West London is our advanced fleet of vans and trucks. It consists of green transit vehicles which have GPS tracking systems and are equipped with reliable moving equipment. Our modern armada of professional moving vans in South West London features SWBs, MWBs, LWBs, as well as massive Luton trucks and that helps us to efficiently carry out relocations of any size. Kingston is a very nice and actually important part of South West London. The borough that the town serves as an administrative centre to has a Royal Status that stems from the fact that namely here in Kingston some of the most important Anglo-Saxon kings were actually crowned. The so called Coronation Stone, where those events supposedly took place, still stands in the courtyard of the local Town Hall. If you are looking for a nice place to take an evening stroll, we would recommend the riverside in Richmond. Along the bank of the Thames you will find a parade of bars, pubs and restaurants where you will definitely enjoy a night out. If you are interested in art, the Orleans House Gallery is a must. Regardless of whether you are looking for a world-class restaurant, a beautiful park or an exclusive shopping experience, South West London is the place to be. Many rich and famous celebrities and politicians live here. So, chances are you will also have well-known neighbours. Getting around this part of the UK capital is also fairly easy as local transport links come in great abundance. Two particularly attractive districts in South West London are Wimbledon and Surbiton.